Spring is in the air and our furnaces are being used less often. It’s a great time of the year to have our windows and doors open to bring in the crisp spring air and provide some air flow in our homes! 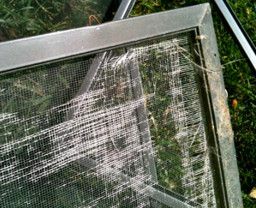 We suggest you walk through your home and inspect all your window screens. Pull aside the ones that are broken or torn and bring them to our Plumbing Department. We have many different options for screen replacement materials, and our experienced sales clerks will be sure to install the material with a professional touch. In fact, we repair hundreds of screens a year! The process is pretty simple. Remove them from window or door frames and bring them to our store. We have you choose the material (fiberglass, aluminum, or pet-proof nylon) and the color (black, gray, charcoal, aluminum) and then we write up a work order. You pay the day that they are dropped off, so that you always know the charges up front. Once completed, we will give you a call to pick them up! Repair work typically takes 1-2 weeks depending on the season and how many other repairs we have at that given time. Any questions, please feel free to give us a call at 412-561-0922.